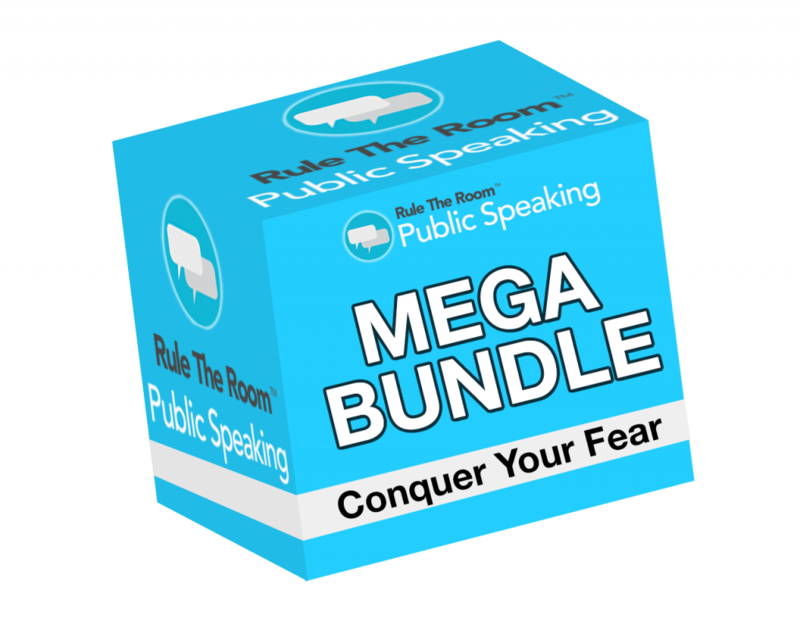 Conquer Your Fear Mega Bundle - Presentation Skills Training - Online Public Speaking Courses | Rule the Room Today! Life's too short. This is Your Year. Includes 5 courses and 11+ hours of success proven tools and techniques! Why Should You Get The Conquer Your Fear Bundle? I can teach you how to really connect with your audience. 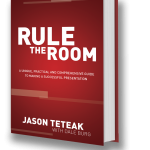 Rule the Room Public speaking will show you how to overcome your fear of public speaking… before another one of your presentations causes another panic stricken frenzy. Before another one of your ideas bites the dust. You’ll be able to share your ideas clearly, powerfully, and succinctly. You’ll experience a confidence when you’re speaking, and because of that, others will follow you and your ideas. I’m going to give you techniques and tools you need to overcome your fear of public speaking and stay calm and in control in front of every audience. You’ll learn from the inside out, how to establish your self-esteem, enhance and define your public speaking skills, and face and manage your fears of public speaking. When you conquer that fear, you feel a sense of happiness, success and freedom you’ve never felt before. It’s as if this huge burden is lifted off your back, and you feel like you can do anything. And you can. You’ll not only conquer that fear of public speaking, you’ll appear confident and credible and actually enjoy speaking in front of any size crowd. What is the Conquer Your Fear Mega Bundle? The course level is for all levels, and is the same proven plan we used with hundreds of public speakers and professionals to help them give a confident (and fearless) presentation in the Five Most Common Fear Filled Presentation situations you will ever face…. There’s all meat and no fluff. If you want backstory and theory, go read a blog post. The Conquer Your Fear Mega Bundle is all about taking action and getting results as quickly and easily as possible. How long does it take to finish the Conquer Your Fear Mega Bundle? This bundle of 5 programs is 11+ hours of video training, so if you are working at it full-time you could technically complete the class in two days (although this is not recommended). To fully understand and apply the materials, you should allow 3-7 days if you are working full-time, and 10-15 days if you are taking the classes part-time. When do I have to finish the Conquer Your Fear Mega Bundle programs? It’s totally up to you. You can go at whatever pace suits you best! You’ve got a lot of other things going on in your life, so just because you enroll in the Conquer Your Fear training doesn’t mean you need to complete it right away. In fact, you can start and finish whenever you want. Either way, we’re going to be there with you every step of the way to ensure you’re successful. How long can I keep the Conquer Your Fear Mega Bundle programs? Do you offer grants or financial aid for your Conquer Your Fear Mega Bundle? At this time, no grants or financial aid programs are available. The good news is that we have priced our classes so that they are affordable to all, especially compared to similar public speaking and presentation programs and workshops. BONUS! You will also get 260+ pages worth of workbooks for you to follow along with every word.